One Christmas Eve, frosty and bright. He’d take gifts to Santa that night. Join George, a young and courageous explorer with all the pluck of a little Indiana Jones, on a very festive quest – to find Father Christmas himself! This time George is heading to the North Pole to deliver lots of presents to Santa for a change! But oh no – Santa and the elves are in trouble, and Rudolf has lost the light from his red nose! Can George step up and save Christmas? 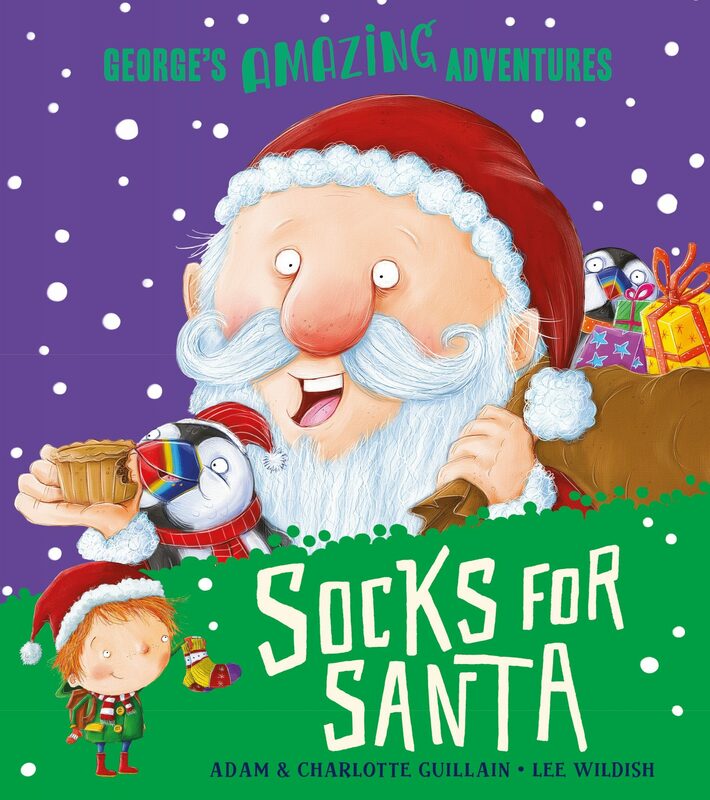 Socks for Santa is a funny and heartwarming rhyming romp, perfect for reading aloud to boys and girls aged 3+ who love adventure stories and Christmas. Illustrated by the award-winning Lee Wildish.